Tires is the important part for all the vehicles, car is the mostly used one by the people. So the major aspect one should notice while buying a car is the tread of the car’s tire. Most of the potential buyers will check only the specifications of the car. It’s the manufacturer’s responsibility to fit a suitable tire with needed tread. The tread of a tire or track refers to the rubber on its circumference that makes contact with the road. The tread gives grip for the car on the roads. It is good to know about the various treads. Which will help you when you when you go to buy a new tire when the old one of your car is worn out. This article will give you some needed things to note about the treads when you are going to buy a new tire. Tread of a tire is the most important thing for your vehicle. The tire only holds the entire weight of the vehicle. Tire has the contact with the ground. Tread must be chosen based on the ground surface to have a proper grip in the road. Go to a nearby tire shop; take a note of the various tires in the display. Gain some knowledge about the tread patterns and its various usages. This will familiarize you with various tires and treads. Now check the life of your old tire. Judge it whether it does it expected work. 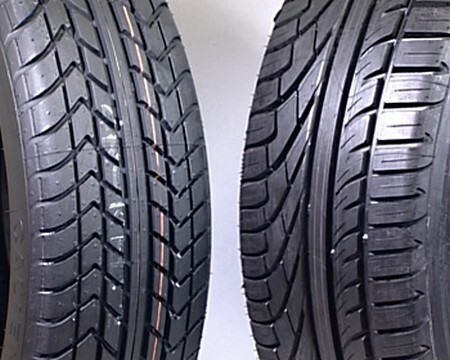 If the tire doesn’t meet its expectations, then it is necessary to change the tire company or you must change its tread pattern or even the manufacturer. The next thing to notice is the type of the surface the vehicle is going to run. Check is it normal asphalt road or a rough road or a racetrack. The tire made roe a dry road can’t give grip on a wet road. So it is very necessary to note the surface of the road. Local climate is the next thing you must keep in mind. How will be the rain and snow fall in your area. It is waste of cost to buy a tire to use it in a wet conditions in a dry place, at the same time if your area will be dry for some days and then wet because of rain means it is preferable to buy the all-season tire. The last thing is to get some consultations from the tire specialists. You can get some more ideas about the tire. Tread is used basically for grip and protection. Try to prefer some tread which protects you from accidents.